Burn-out is a relatively new term, describing the state that can occur when experiencing prolonged levels of stress in your life. In our current culture, it’s not uncommon to experience this phenomenon. In fact, it’s so common that sometimes many people are unaware that they are even experiencing burn-out. If you’ve noticed your stress levels have increased and you’re not feeling like your true and motivated self, you might want to take a look at where you’re spending your energy and time. Learning how to prioritise yourself is something that isn’t taught to us at school and is a matter of setting up good habits. Taking time out to cultivate some self care and solitude can be an important step in remembering how you naturally feel when you are not in a state of constant stress. This can allow you to have more self awareness for when you are experiencing symptoms of stress and get on top of them before they get worse. 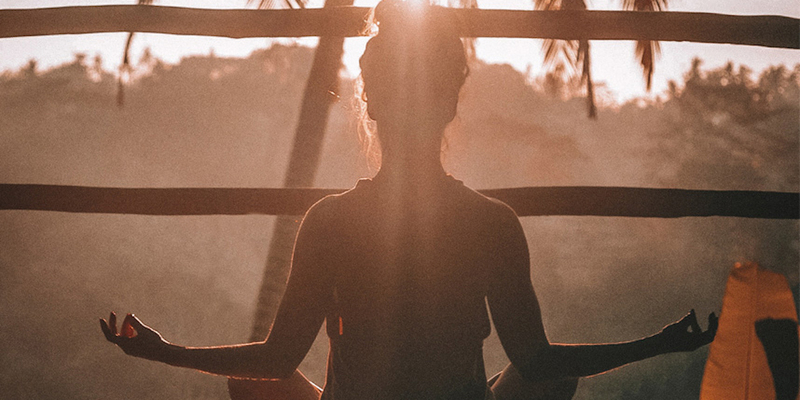 Follow these five mindfulness practices to begin removing these symptoms from your life and reclaim yourself on a more consistent basis. Ask yourself very honestly how much down time you need to recharge, and then honour that and keep it consistent. Stick to it as much as you would stick to your commitments to other people. Your health and sanity must become your first priority because so that you can show up better in the other parts of your life. Schedule catch-ups with close ones for activities that can help to bring you back to centre. These may include a yoga or meditation class, going to a talk, or taking the time to do a hobby together rather than simply socialising. Physical and creative activities enhance your sense of well-being. You’ll give yourself time where you can stop over-thinking and recharge, and still fulfil your need to catch up. You may need to assess where you put your energy and decide to let go of some things in your life and revisit them at a later time in the year when you feel you will be able to fully put your energy into them. Life is about balance and sometimes we have those weeks where we lose ourselves a little bit. Instead of beating ourselves up for it, focus on what we can do from right now. Sometimes it may come down to simply accepting what is and that this is a temporary phase in your life that will pass. Forms of movement can also help to manage burn-out, try a Yin Yoga class if you need something more restorative or Vinyasa for something more Yang.